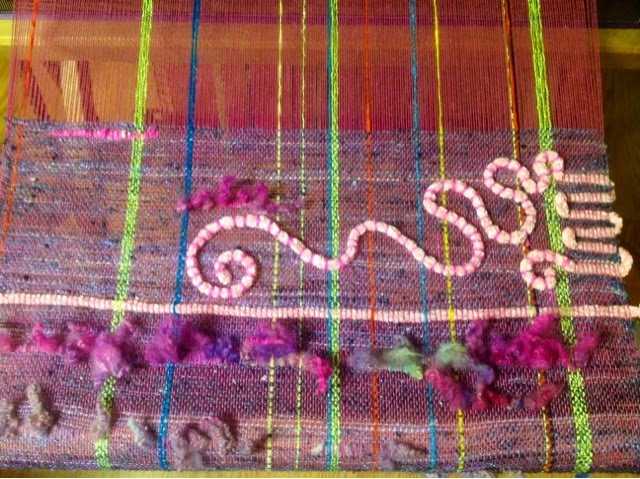 I love surface embellishment so it was inevitable that it would work its way into my weaving. It just makes sense to work on the cloth while it's all stretched out on the loom, right? The pink i-cord is something else I've been playing around with. 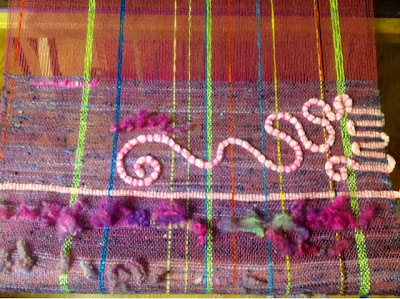 I started with a squiggle along the edge, but I loved the look of it on top of the woven cloth, so I couched it in place. It remains to be seen how this will play out in a finished garment. Originally I planned the pink I-cord for another project...I'll have to make more. 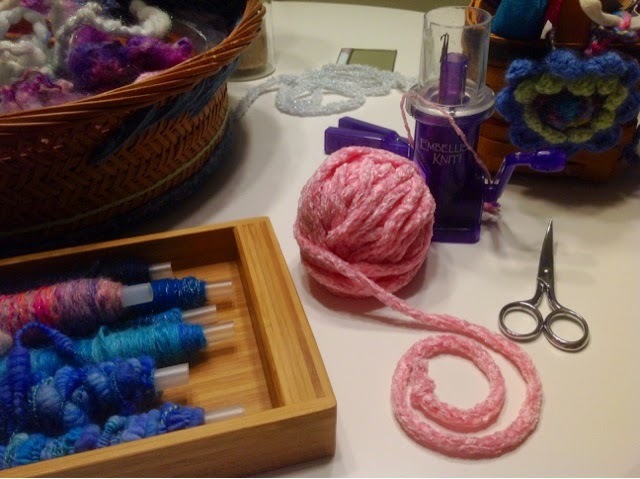 Fortunately I have this handy dandy little knitter, called Embellish Knit, so I can crank out the I-cord much faster than using double points or the little French knitting spool. 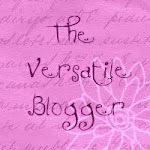 The pink yarn is a sport weight chenille, it's so velvety, I love it! The Embellish Knit requires a little attention, and while I wasn't able to crank out miles of cord in minutes, it was so much faster than the usual cord kitting techniques. One bit of advice if you decide to get one of these, the cord needs to turn freely as you knit or it will get all twisted back on itself. Eventually I found that by winding it into a ball as I worked and then tucking/anchoring the working end into ball with about three inches hanging from the machine, it untwisted itself as I worked. 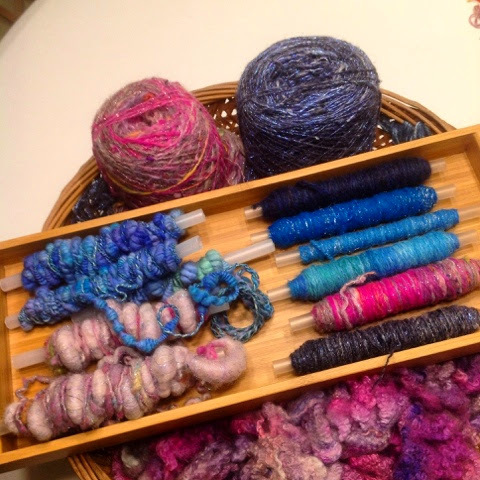 The yarn for this weaving project is all handspun. At one time this was all knitted into a hooded capelet. I just didn't care for the garment when it was done, so after awhile I unraveled it. Now it will have a new life in this woven cloth. 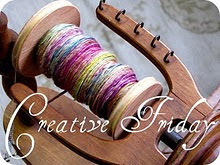 Hope you had a wonderful and creative week!